TUESDAY, April 24, 2018 (HealthDay News) -- It's a long-held stereotype that men are less self-conscious about their weight than women. But a new study reveals that obese men are just as likely as women to be mistreated and stigmatized by others due to their excess pounds. Two out of five men surveyed said they've been on the receiving end of weight stigma, "which is really similar to what we see in women," said lead researcher Mary Himmelstein. 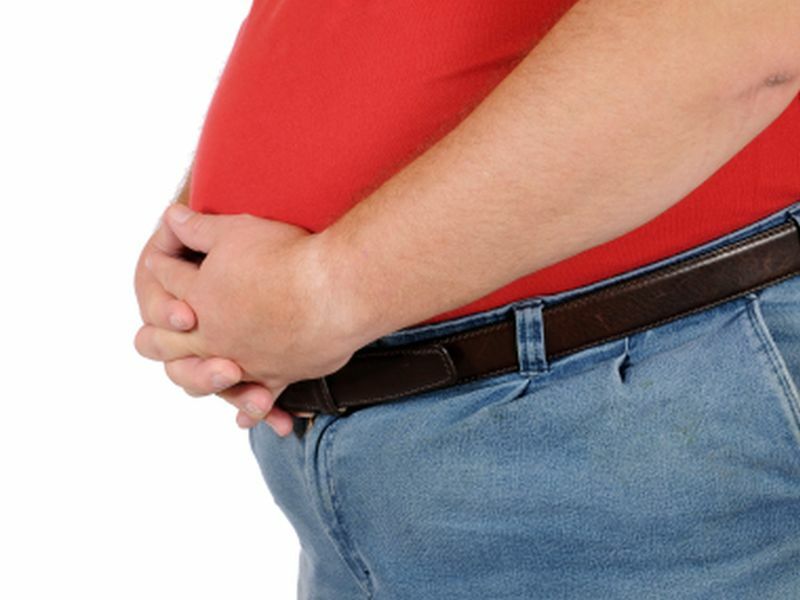 This is the first study to look specifically at weight bias targeting men, said Himmelstein, a postdoctoral fellow at the University of Connecticut's Center for Food Policy & Obesity. "This isn't really something we think about as a problem for men. Men really aren't on the radar when we think about weight stigma," she said. "These results show it should be on the radar." There are many ways overweight and obese people can be stigmatized about their weight. They can be outright teased or taunted, or have snide comments made about what they're eating. They can also be stereotyped -- "that you can't control yourself around food, that you have no willpower, that you're less intelligent than someone who has a slimmer waistline," Himmelstein said. People might even think they're doing these folks a favor, but they really aren't, said Dr. Scott Kahan, director of the National Center for Weight and Wellness in Washington, D.C.
"People tend to mistakenly believe if they are harsh with people, it will motivate them to lose weight -- if they tease them a little bit or finger-point a little bit," Kahan said. "There's not a single study I know that supports that, and in fact there are several studies showing the opposite." Weight bias instead tends to cause people to binge-eat and exercise less, leading to even greater weight gain, Himmelstein and Kahan said. For this study, Himmelstein and her colleagues surveyed more than 1,500 men from three groups -- two online survey panels and a nonprofit advocacy group for the obese. About 40 percent of the men reported experiencing weight stigma, the researchers found. Verbal mistreatment was the most common form of stigma. It most often came from peers, family members and strangers, results showed. Men stigmatized over their weight tended to be younger, were less likely to be married, and were more likely to be obese rather than normal weight or overweight, Himmelstein noted. Kahan said that the results show that more research needs to be done exploring the differences in men and women's experiences with weight stigma. The sources of weight stigma might differ between the two genders, Kahan added. For example, women might be more likely to receive comments from health care professionals than men. Men also might process and cope with weight stigma differently than women, he noted. "Just experiencing some sort of stigmatizing action or words from someone else, that's not typically enough to cause harm in an individual," Kahan said. "It's when that individual internalizes that stigma, turns it in on themselves, and sort of believes it and takes it to heart, that's when you start to see some of the mental and physical health problems with those stigmatizing situations." Men could turn out to have a thicker skin than women when it comes to their weight, although Kahan is not certain of that. "We all have our theories, and I'm not so sure that men are able to shrug it off easier than women," he said. The new study is published in the May issue of Obesity.